Milk thistle helps regenerate liver cells and helps cleanse the liver of dangerous toxins. 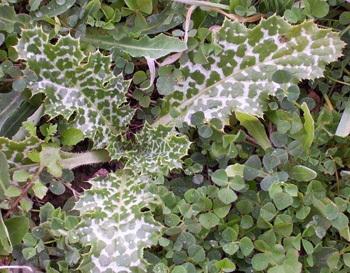 In several European studies performed in the 1970’s on rats, animals who had their livers partially removed experienced a regeneration of liver cells after receiving milk thistle extract. This herb is extremely popular in Europe as a tonic for the liver, the body’s second largest organ. This herb contains a flavonoid called silymarin that has been shown to have a direct effect on liver cells. Known as vitamin P, flavonoids are substances found in plants that often work in conjunction with vitamin C and offer many other health benefits. Often referred to as the body’s “chemical factory,” the liver plays a critical role in maintaining good health. It produces bile, which is necessary for the break-down of fats. It detoxifies poisons that enter our bloodstream, such as nicotine, alcohol, and pollutants such as carbon monoxide. It breaks them down from potentially lethal substances into those that are less destructive to our bodies. The liver is also the site where vitamins A, D, E, and K are stored. Numerous European studies sow that this herb enhances overall liver function, as well as stimulates the production of new liver cells. LiveStrong.com: How Exactly Does Milk Thistle Work to Protect the Liver? LiveStrong.com: Can Milk Thistle Help Lower Cholesterol? LiveStrong.com: What Are the Benefits of Milk Thistle & Ginger? PubMed.gov: Medicinal herbs: answers and advice, part 1. PubMed.gov: Antimetastatic efficacy of silibinin: molecular mechanisms and therapeutic potential against cancer. PubMed.gov: Successful HCV eradication and inhibition of HIV replication by intravenous silibinin in an HIV-HCV coinfected patient. 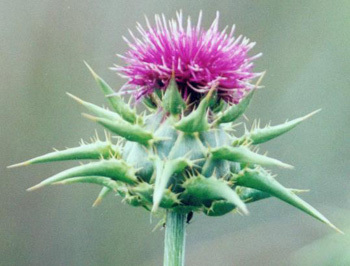 PubMed.gov: Milk thistle in liver diseases: past, present, future. PubMed.gov: The efficacy of Silybum marianum (L.) Gaertn. (silymarin) in the treatment of type II diabetes: a randomized, double-blind, placebo-controlled, clinical trial.